What I thought: There is something a little bit dangerous about opening Taverna, which is that you run the risk of accidentally booking a holiday. To Cyprus. Immediately. 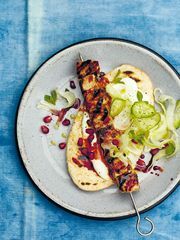 Flicking through these beautifully-photographed recipes, you’ll be transported to sun-soaked Cypriot afternoons eating fresh, vibrant salads with salty halloumi followed by honey-infused ice cream, or cool evenings with grilled meats served with an endless array of flavourful dips. Yep, booking my flights. 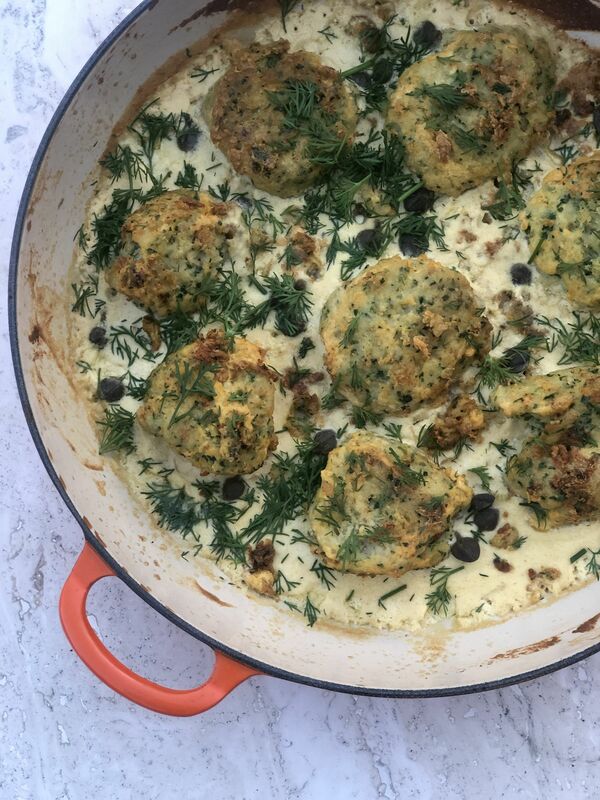 In the meantime, I was only too happy to try making one of the recipes at home, and the one that stood out to me was the Fish Keftedes in Mustard and Dill. 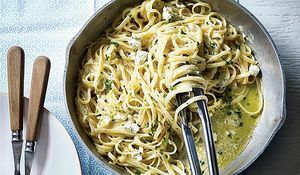 The idea of an easy one-pan dish really appealed, and the fresh herbs and capers combined with a mustard and crème fraîche sauce sounded so summery and delicious, which is exactly what it turned out to be. I’m glad I made it on the weekend, because it did take a bit of time to prepare the fishcakes, but overall the recipe is straight forward and Georgie’s instructions are really easy to follow. It’s a great dish to cook for a few people, with plenty to go round and even some leftovers for the next day. This is definitely a recipe I’ll be coming back to again and again, and even if it’s not being served at a restaurant by the sea in Cyprus, the typical Greek flavours do a good job of making you feel like you’re not far off. What I thought: As someone who sees no shame in eating tahini from a jar at my desk when the 3pm slump strikes, any recipe involving that heavenly, rich nutty paste immediately catches my eye. When you then add the promise of squash roasted in cinnamon and oregano, tart dried cherries and a scattering of sumac to season, there's just no chance I can skip past it. 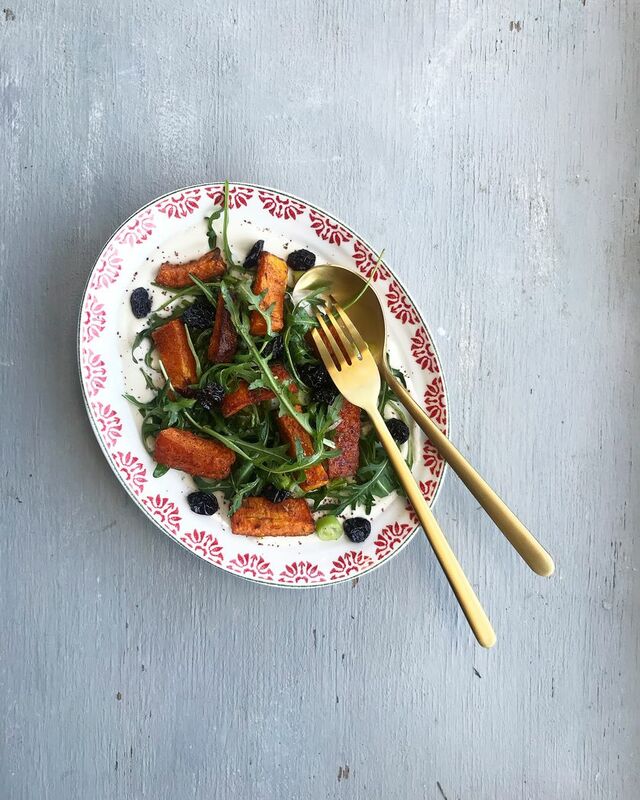 I made this dish on a Sunday when I fancied a roast chicken but didn't want a full traditional roast and it worked a treat as a more creative veg side dish, but I could happily have this as a substantial salad all on its own. Like all of the recipes I have made from Taverna, it is unintimidating and laid-back but delivers bold, fresh flavours and will be on heavy rotation in my kitchen for the forseeable. What I thought: The night after I made this ice-cream, I took it out the freezer and took a deep breath in. Smells like summer, I thought to myself. Smells like fresh, icy cold, light and creamy scoops of summer. And the best thing is IT'S SO EASY TO MAKE! I had a hard time choosing which recipe to dive into from Taverna, because it's quite frankly one of the most beautiful cookbooks I've ever flicked through, and so many of the dishes look divine (the breakfasts, the mezze lunches, the feasting dinners...) But the sunshine was peeking through the clouds for what felt like the first time this year, and so the ice-cream, in the end, was a no brainer. This recipe, believe it or not, does not require an ice-cream maker. And it took only 30 minutes to whip up, before leaving in the freezer overnight. 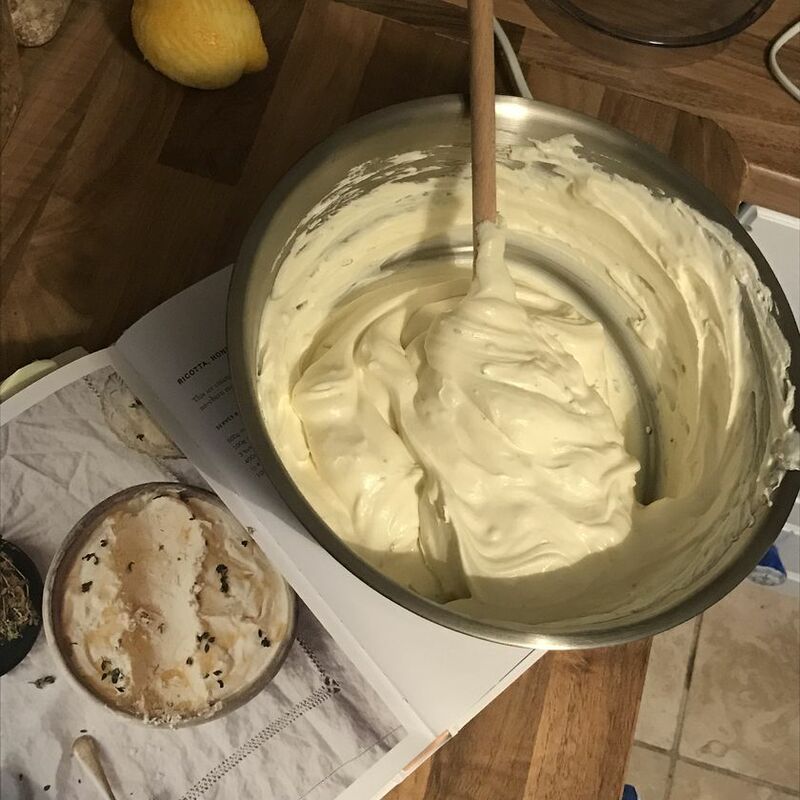 I blitzed the ricotta cheese, caster sugar and thyme in a food processor, and in a separate bowl, used an electric whisk to work the double cream into soft white peaks. Fold it all together, then grate in the lemon zest, spoon in the honey and voila - you're left with a tub of ice cream dreams. It's an amazing blend of flavours, and not as subtle as I expected - luxuriously creamy, thanks to the ricotta and cream, with the sharp lemon and herby thyme offsetting the natural sweetness of the honey. Take it out the freezer and leave to defrost ever so slightly before serving. 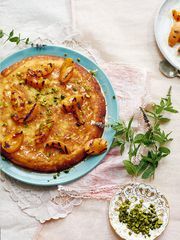 It's a gorgeous treat for a warm evening, delicious enough on its own, or the ideal companion beside fresh fruit or scooped onto your dessert of choice. My top tip? Drizzle it with more honey before serving. I think it's the best ice-cream recipe I've ever encountered - and I've got loads leftover for summer! 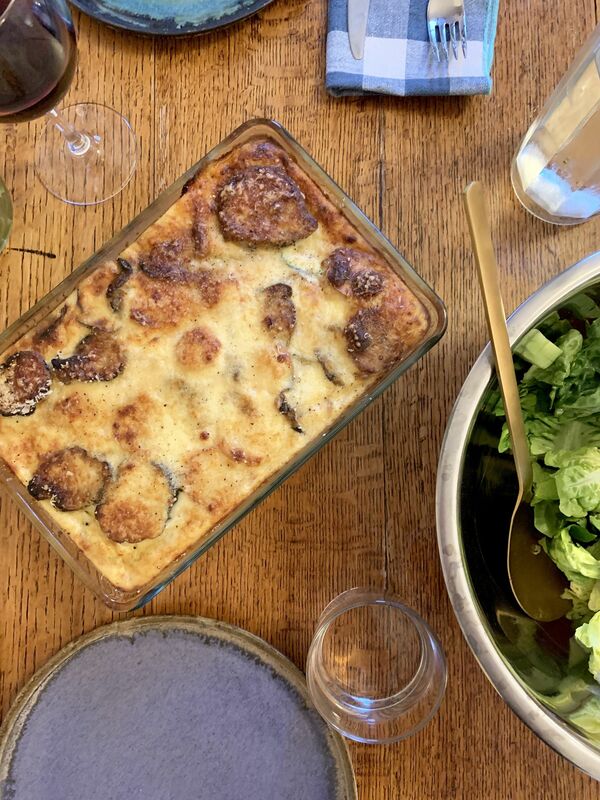 What I thought: Georgie’s family recipe is a triumphant twist on the traditional lamb Moussaka. Instead you cook it with a mix of beef and pork mince. Rather than fry aubergine and potatoes, you brush them with oil and roast them. She reassures that it’s fine to use Pecorino rather than the Greek cheese, if you need to. If you’re looking for a satisfying, involved weekend cooking session then this is the perfect recipe to try. There are four stages to follow, from preparing the vegetables to assembly. Lots of fun to do, I loved the rich flavours of the meat and covering the whole thing in a delicious white sauce to complete it. I halved all the ingredients and still made a Moussaka that fed 3 very hungry people. What I thought: I love baking above all other cooking – it always feels a bit like alchemy seeing the mixture rise and turn golden – so I picked this easy and delicious fruit cake recipe. The recipe calls for a springform tin and sadly mine had disappeared but a silicon square cake ‘tin’ worked just as well. I was intrigued to see how the batter would work without milk or butter, using olive oil and orange juice instead, and of course it came together easily. 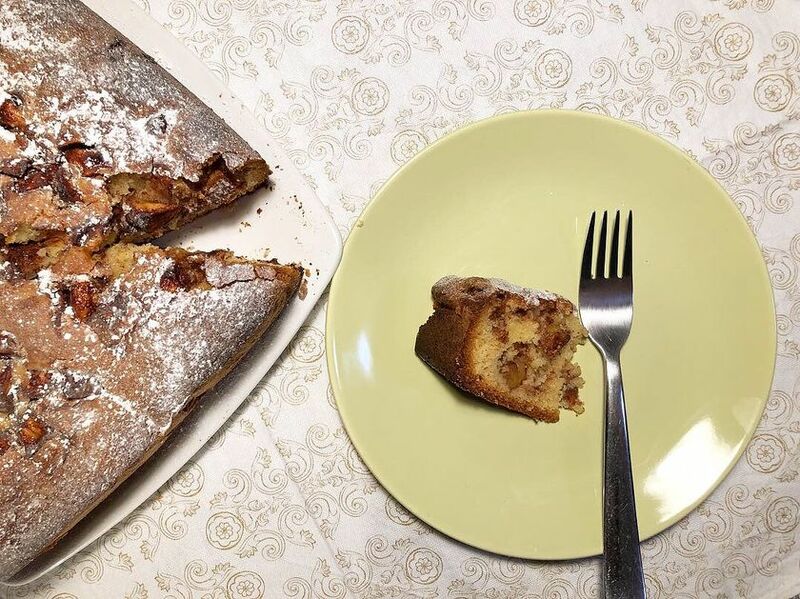 Just out of the oven, the cake has a gorgeous dark and crispy crust, with almost-red caramelised apple pieces, and a beautifully light and soft interior. It smells amazing, and is not too sweet – a warmed slice with a spoonful of Greek yoghurt and a fresh cup of coffee was the perfect breakfast treat. 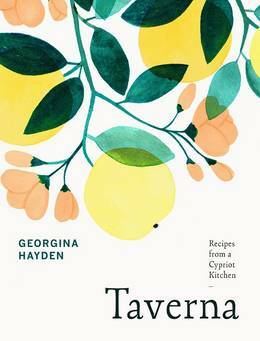 What I thought: The introduction to this recipe says it’s Georgina Hayden’s most eaten Cypriot dish and hugely comforting so I was keen to give it a try. 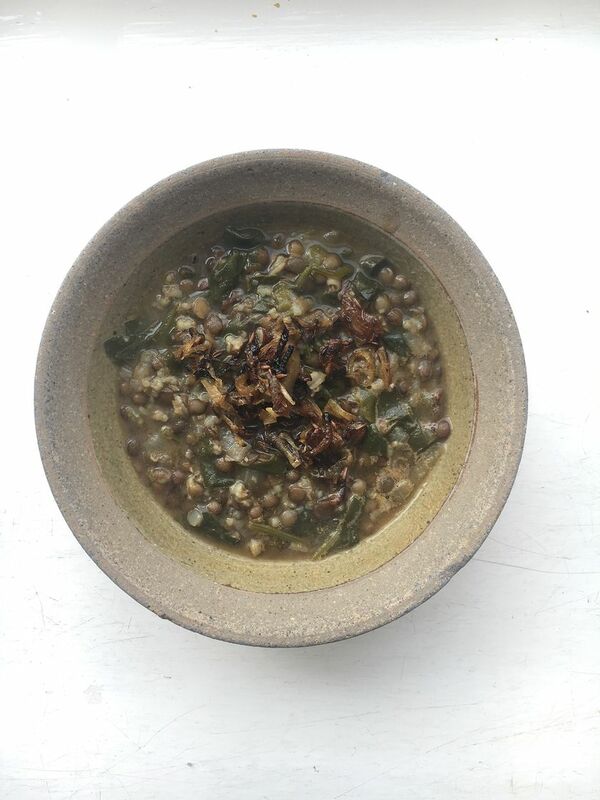 It is a great store cupboard dish as it is built around a base of onions and celery, then lentils plus a bag of spinach, which I usually have in the fridge. It is also vegan, so long as you skip the serving suggestion to have with Greek yoghurt, and at the same time it’s filling and nourishing. It was a terrific dish for a busy household as it was simple to make and delicious to eat. It also works brilliantly as leftovers. 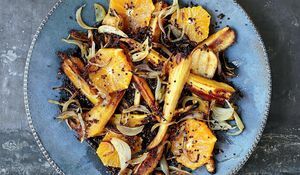 All in all a hugely versatile recipe which is beautifully minimal yet deeply rewarding at the same time. A winner. 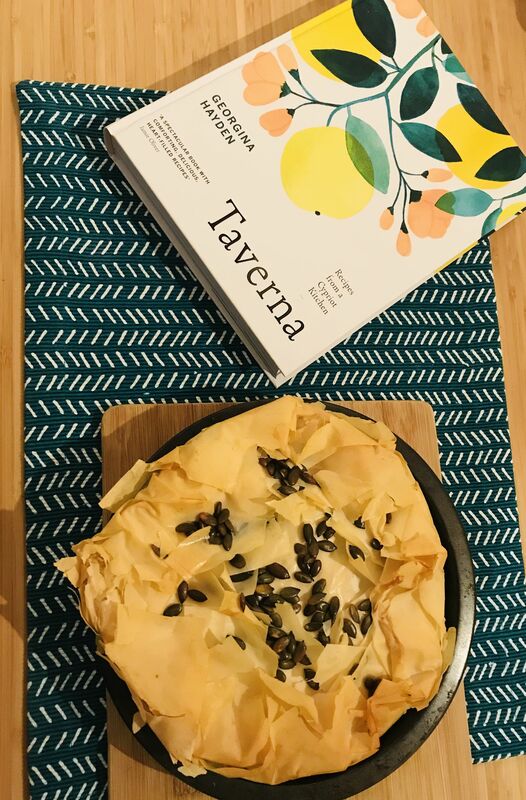 What I thought: Taverna is a complete treasure trove of delicious-looking vegetarian and vegan recipes but, being obsessed any cinnamon and raisin combination, it was this easy filo pie that jumped out at me. 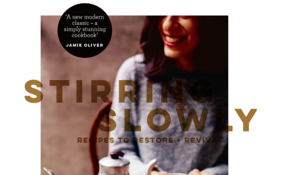 To really put the recipe through its paces I started cooking late on a weekday evening, when I was already on the verge of angry-hungry and had zero tolerance for any culinary faffing. Luckily the recipe couldn’t have been simpler, just a matter of roasting the veg, mixing the rest of the ingredients together and lining a tin with filo pastry. For expediency I used butternut squash rather than pumpkin (based on what was available my local Tesco Express) and shop-bought filo pastry (sorry, Georgina!). The end result was a delicious citrusy and light, slightly spiced pie, which I served with a green salad. My version isn’t quite as golden as the one in the books down to sheer impatience and greediness. I’m now desperate to try the pumpkin version and to have a go at Georgina’s filo pastry recipe. As an added bonus, it made my kitchen smell like Christmas and I’ve made more than enough to provide enviable packed lunches for the rest of the week. 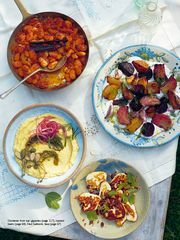 Find these recipes and more in Taverna.